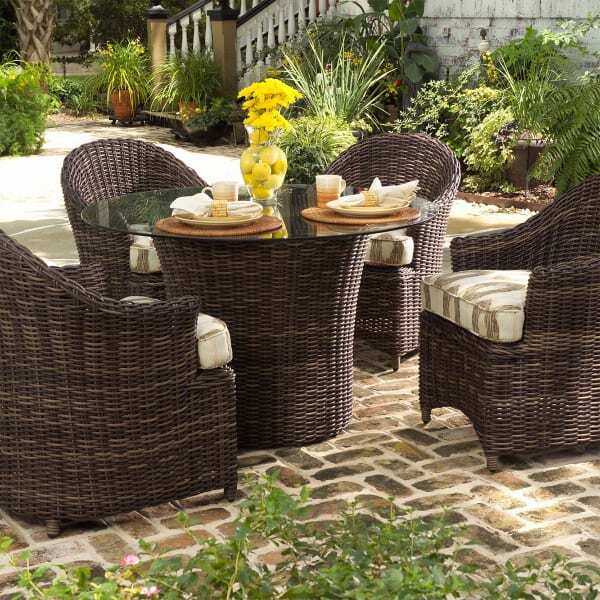 The Sonoma Dining Collection from Whitecraft by Woodard is a hip, transitionally-styled, all-weather wicker dining set that offers an excellent design, superior construction and supreme comfort. 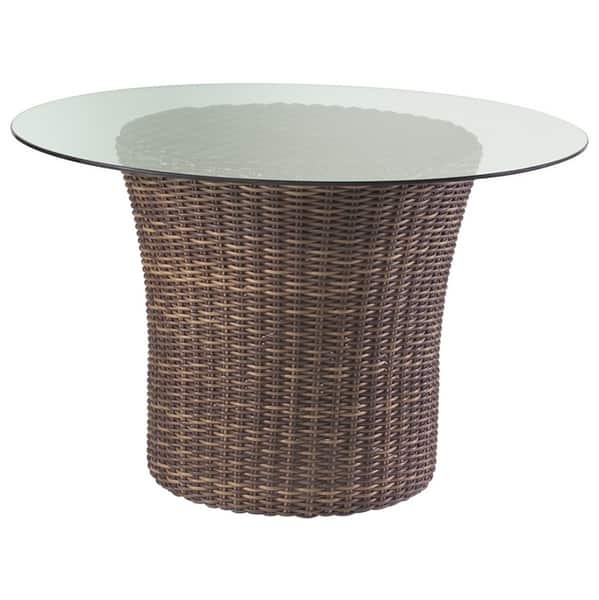 With its chunky wicker weave and variegated Trax Mink finish, this fashionable woven patio furniture will add a contemporary ambience to your outdoor entertaining. The construction of the Sonoma Dining Collection features a powder-coated aluminum frame and high density polyethylene resin wicker. It is water-resistant and rust-proof; it won’t fade, peel or splinter, and it can be placed in any outdoor area. The extra-comfortable cushions are poly-filled and fast drying. A large selection of outdoor fabrics ensures that you can customize the Sonoma Dining Collection to your personal tastes. 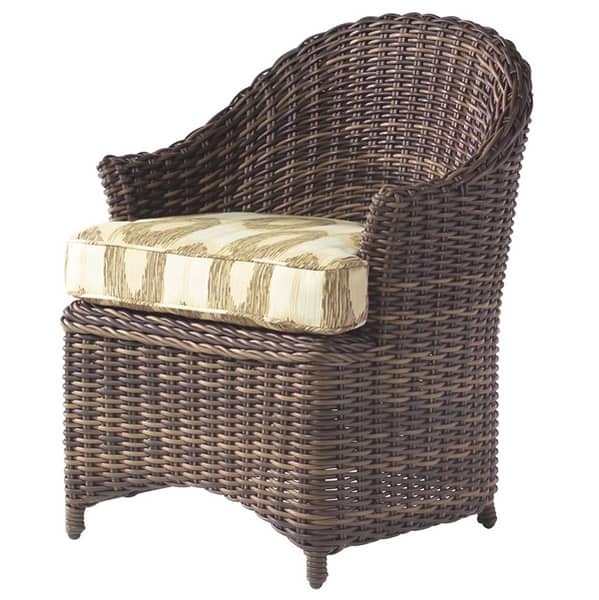 Dine in the latest style in the Sonoma Dining Collection from Whitecraft by Woodard. Chair Dimensions 35"H x 26"W x 25"